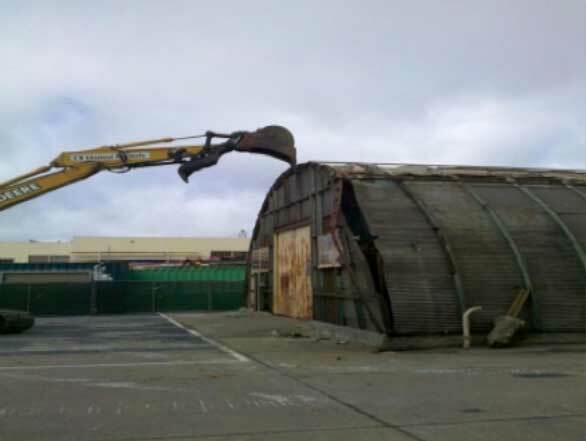 Radiological Survey and Demolition of Building 346 - Noreas Inc.
NOREAS provided all planning, oversight, and demolition of Building 346 at Former Alameda Naval Air Station in Alameda, California. Building 346 was a quonset-hut type building constructed of sheet metal with a steel frame, and was historically designated as a drop-tank cleaning shop, an electrical shop, and a materials laboratory. The scope of work included initial radiological surveys for residual radioactivity, removal and free release or disposal of materials/equipment within the building, demolition of the building structure, and waste disposal. Field activities included fence installation, ambient air monitoring, geophysical survey, decommissioning of utilities, preparation for demolition, hazardous material abatement, radiological surveying, structural demolition, waste management and disposal, and final site restoration. Original building surfaces were surveyed prior to demolition to the maximum extent possible. 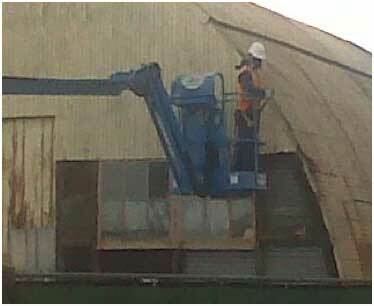 The results of these surveys were reviewed concurrently with the Navy prior to initiating building demolition activities. No radioactive contamination was identified above the applicable release criteria. Following hazardous material abatement, radiological survey and release of equipment and materials, the building was demolished and the site restored on schedule and within budget.